That was quite a storm that ran through the eastern U.S. for the past couple of days. Damage will be in the billions of dollars no doubt to property but to the families and friends of those who were killed or injured it is even higher, but not in dollars. We had tornado warnings here on the coast until after 11:00 P.M. last evening but the storms stayed inland and created damage up through Raleigh and Fayetteville, NC, but nothing like what happened in Virginia with the loss of life. Well there isn’t a lot I can say this morning to brighten anyone’s day s I am just going to say I will be praying for everyone. It is almost geocaching time. Hello everyone , today in the Garmin blog they finally got on board with me and the need to get ready for the geocaching season ahead. They were using what I think is the finest handheld GPS the GPSMAP 64ST, a mapping GPS that comes loaded with 100K Topo for the entire U.S. so your off road adventures in geocaching will show you on a map no matter your location. Well the weather is really starting to warm up here in the Carolinas so the next thing to come is Spring Break for the north. If you are coming down please take the time to get your GPS out and updated both firmware and mapping if you can. This may make your trip and recreation while here more enjoyable. If you find your GPS needs replacing don’t forget to call us we can certainly offer you the expertise you need to make the right decision. Today is really the first day that things are getting back to normal here at The GPS Store. Scott and Brian are home and after a couple of days entering the orders they are back to helping on the sales floor. Good to have them back, they are really missed when they are off to a boatshow. 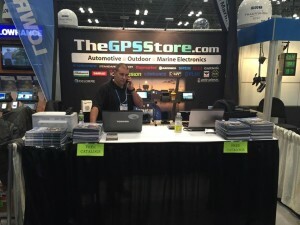 All reports from Atlantic City and Miami are that the shows were a success for The GPS Store. Some new products were introduced and we will have more on them as they become available. I did a little research on Doppler Radar, because both Garmin and Furuno introduced models in Miami, once I am able to explain them better I will post more about them. All I can say is that when two of the major manufacturers come out with similar items at the same time there must be something too it. Garmin has also introduced some new Zumo’s to their motorcycle line of GPS so all you riders who are looking for a GPS on your cycle for the spring rallies in Daytona and Myrtle Beach you may want to start looking now. I hope you all have a great weekend as I am off tomorrow so I can spend time with my oldest Son and Wife. Take care of each other and I will be back on Monday. After travel and setup the boys are finally meeting and greeting people at our booth in the Miami Boat Show. I know that they are ready and willing to do business and help our customers with the decisions that they make for their marine electronics. This is the 75th year for the Miami Boat Show and this year they have a new venue, most attendees this year I am guessing will take advantage of the free water taxis to the show instead of driving. If you are in Miami for the show please take a minute to stop by our booth Booth: C294 – C Tent, and say hi. Tell them that Old Spice sent you. You can be one of the first to see the new products Garmin announced yesterday, including new charting, larger screen GPSMAP’s 8400 and 8600 series, a new transom mount Panoptix transducer, a new 40W Phantom open array radar, and for the sail boater Nautix In-View Display for mariners to clip to their sunglasses. Some pretty exciting stuff. I am sure there will be more as the show goes on. Our team of sales experts has arrived in Miami for the Boat Show, the booth is set up, with our displays, catalogs, cards and everything that we need to conduct business. The boys are taking today off to take a breather before the final grind of our spring boat show season. Tomorrow through Monday they will be on deck and taking orders and talking with our customers about what their needs are for marine electronics. They even provide help with operating our customers’ existing systems, so stop in and see our guys at Booth: C294 – C Tent. Tomorrow the manufacturers will be unveiling new products and I am sure some will be said to be revolutionary so stay tuned and I will get them to you as soon as they are revealed. If you didn’t know I predicted the Carolina Panthers to defeat the Denver Broncos 34-13 and tht certainly was not the outcome of the Super Bowl. I got caught up in the Cam Newton hype, not really, I thought the two defensive tackles for Carolina would put huge pressure on Peyton Manning and force him into turnovers and it didn’t happen. I won’t go into Cam Newton’s actions after the loss here. If you want to know them call the store and I will tell you. Enough Scott, Brian and Philip are just on the road to Miami for the boat show that will start on Thursday and they just got back yesterday morning really early. This is a long stretch because of their travel which involves driving so as to transport all of our display for the show. I saw in Garmin’s blog a skier using the Fenix 3 for navigation which if you are a serious cross county or back country skier it would be a tremendous assist in finding your way home safely. I am back for a stretch here at The GPS Store while our guys are in Miami just to help out. Our location at the show is Booth: C294 – C Tent, come see our guys. 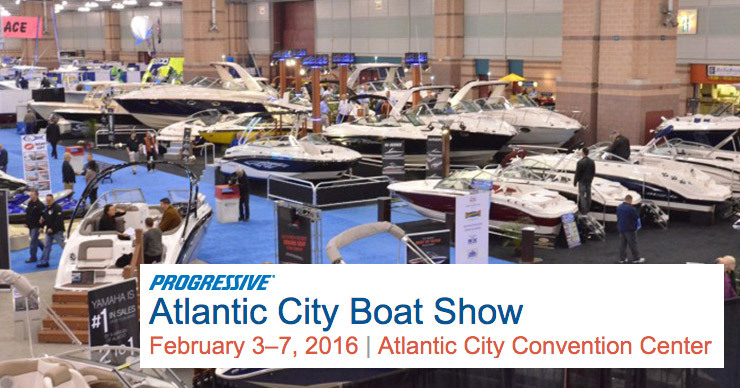 Hi everyone well we are down another one today as Brian is in Atlantic City with Scott and Philip working the boat show. From what I gather his flight was a little bit bumpy and he wasn’t really pleased with the ride. To me he survived the landing so I would say all is good. He will not be flying back but rather driving with the boys. They will get in probably around noon on Monday process the orders they have taken, pack up the trailer and out the door on the way to Miami early Tuesday morning. It really is a hectic time for Scott and Brian as both are young fathers. 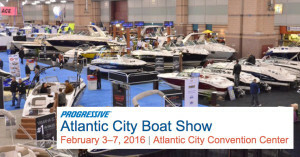 Sales seem to be steady in Atlantic City and I would advise anyone looking for marine electronics this year, living in the Tri-State area, to head to the show, you will be glad you did. I know the Super Bowl is this weekend and most people will be watching it so I am going to give you my predictions Carolina 34 Denver 13. Be back on Tuesday. Day one of the show is in the books and a good one it was for the GPS Store crew in Atlantic City. The NJ government did a nice thing to bolster their marine industry by cutting in half the sales tax when you purchase a boat, and everyone who has priced a boat recently knows that 3.5 % savings can be a real deal. Of course they did limit the savings to $20,000.00, which means if you keep your purchase below $570,000.00 you maximize your savings. Scott and Philip are staying busy at the show today by themselves but tomorrow Brian will be their to add is able assistance to the booth. With the three of them in the booth and with the manufacturers we represent there you just can’t go wrong with knowing what you order is correct for your boat, whether for fishing, sailing or just cruising. It is good to have Furuno back at the show this year. We enjoy working with their sales and technical support staff to provide our customers with a Furuno system that works well for them. Of course our other manufactures are their as well and we are happy to check with them on what meets our customers’ needs as well. Look for us to be close to the marine equipment manufacturers at the show and come in and say hi, if you have a card from the manufacturers on what you need let us give you a “show” price. Today is crunch day here at the store Brian and Scott as well as a couple of people from the warehouse are busy packing the trailer we are sending in the morning to Atlantic City for the Boat Show. Scott and Philip will be headed north early tomorrow morning to set up for the show which starts on Wednesday. They have a display with marine equipment to set up and a backdrop to identify our store as well as a display cabinet to arrange, all in all it is a lot of work to get things right. It is going to be a little hard on Scott, because his Panthers playing in the Super Bowl on Sunday, and he will not be able to watch the game. They will drive through the night to get back and turn things around and head on out to the Miami Boat Show. It is a tough few weeks for everyone who works at The GPS Store whether at the shows or here in the store. If you are in the Atlantic City area and can get to the show you really should because the best deals are going to be there. Look us up we will be in booth # 407.